General Motors plans to idle two car production plants in the United States, but even with two fewer production facilities cranking out slow-selling passenger cars, analysts still see GM playing catch-up. Reuters reported Wednesday that GM will still operate four car plants in the United States, compared to just one plant each that Ford and Fiat-Chrysler Automobiles operate in North America. Ford will still produce the Mustang at its Flat Rock, Michigan, plant and FCA churns out the Dodge Charger and Challenger at its Brampton, Ontario facility in Canada. 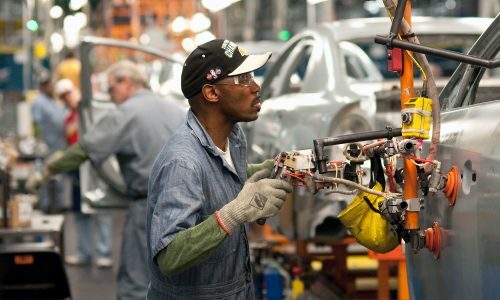 In comparison, GM will still produce cars at the Fairfax, Kansas, Lansing Grand River, Michigan, Orion, Michigan, and Bowling Green, Kentucky, plants. 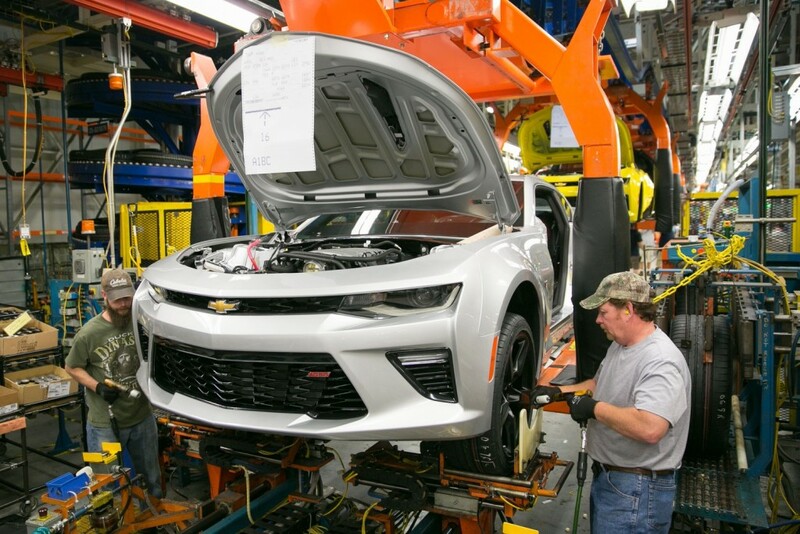 Fairfax builds the Chevrolet Malibu and Cadillac XT4; Lansing Grand River builds Cadillac sedans and the Chevrolet Camaro; Orion handles Sonic and Bolt EV production; and Bowling Green is home to the Chevrolet Corvette. Without flexible architectures, analysts said GM will continue to play whack-a-mole when segments dip. However, GM said it does not plan to totally abandon passenger cars like Ford previously announced. The Malibu is safe for now, and we haven’t heard official word on the Sonic or Spark. Cadillac has two new sedans on the way, too. The fate of Buick’s Regal also hangs in the balance after production contracts with Opel and PSA Group expire in a couple of years. The four GM car plants have the capacity to produce 800,000 vehicles per year, but they’re on track to build just 360,000 cars. Typically, the industry guns for at least an 80 percent utilization rate—the four car plants are well under the figure. Lansing operates at 33 percent, Orion runs at 34 percent, and Bowling Green operates at just 27 percent. Fairfax boasts a 48 percent utilization rate, thanks to the XT4. Whether GM will completely shut the two car production plants it will idle next year, Lordstown and Detroit-Hamtramck, remains to be seen. But, the automaker will need to negotiate their closure with the United Auto Workers union in next year’s labor contract negotiations. BGA will run at maximum capacity (30,000 a year) for a couple of years after the C8 Corvette enters production next September, and Lansing should gain production volume from the new CT4 and CT5. Heck, Lansing might get an Alpha-platform SUV. I would expect the Sonic to be replaced by a new EV soon, which would help Orion out. I’d expect the new Buick and GMC SUVs that we’ve seen prototypes of to be produced in Fairfax. Low production volume is never good for business, but GM should be getting those numbers up soon. Yes there is more to come with changes. With new product coming we will see changes. Wonder what the future is for Buick in the US, though. Verano gone, LaCrosse leaving, Regal likely leaving, Cascada, same. That leaves 3 CUVs/SUVs (two foreign-made), and a lot of ‘white space’ to fill. Wasn’t long ago (7-8 years) that LaCrosse was outselling Lexus. Sonic is in a good spot. It can fill production need as they ramp electric vehicles at the plant. Worst case scenario, they fleet it out, but at least the plant is able to run at capacity.